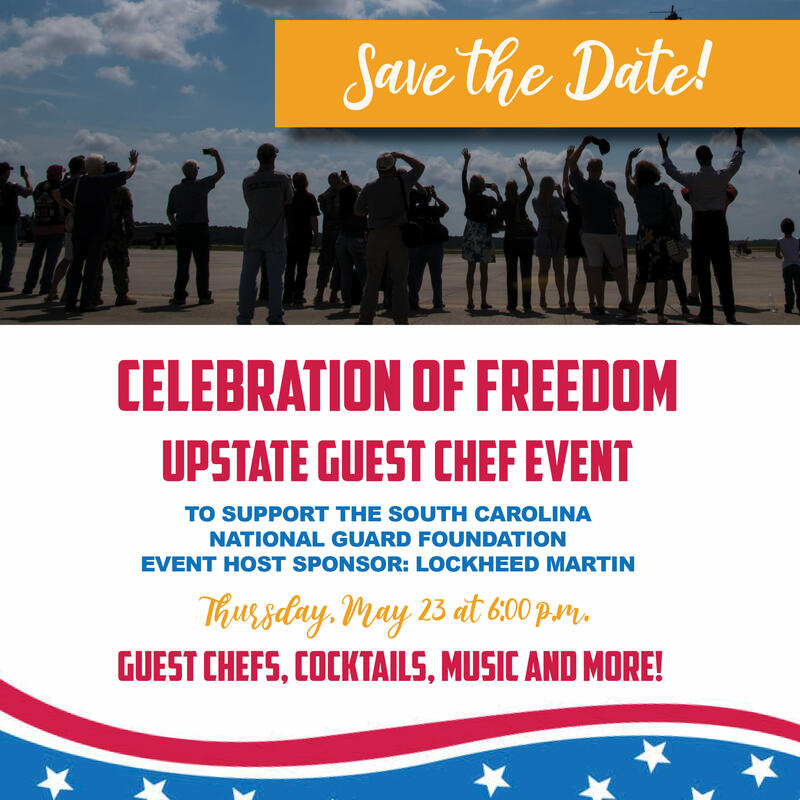 Join the South Carolina National Guard Foundation for the Celebration of Freedom - Upstate fundraising event to be held on Thursday, May 23 at the Embassy Suites by Hilton in Greenville. Enjoy cocktails, featured local guest chefs and live music and entertainment. Price: Prices vary. See website for complete pricing.